I think they may have learned from their mistake with Gentouch 78. Augen just announced that they will soon sell no less than 6 Android tablets ranging in size from 7" to 10", with retail from $199.99 to $599.99. All the tablets run v2.2 and all will support Adobe DE DRM. First up are a pair of 7" tablets, the Latte, and Latte Grande. Both have Wifi HDMI out, 2GB Flash, and a SDHC card slot. The Latte has a 7" WVGA resistive touchscreen (800x480), a stylus, and retails for $199. The Latte Grande is a big step up for only $50 more. 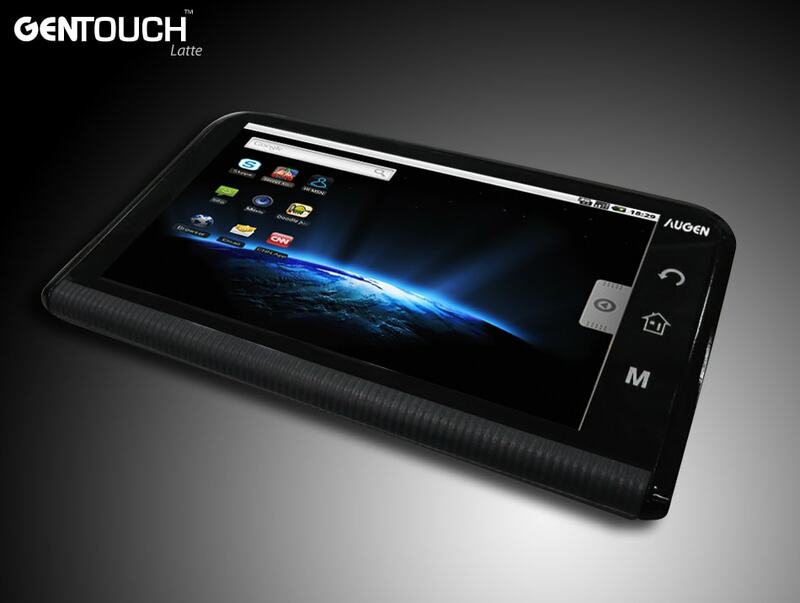 It has a 800 MHz CPU, 7" multi-touch capacitive touchscreen (800x600), accelerometer, compass, and light sensor. Next is the Espresso series, and these babies will support Android v3.0. All have Wifi, Bluetooth, a 3MP camera, accelerometer, compass, and light sensor. 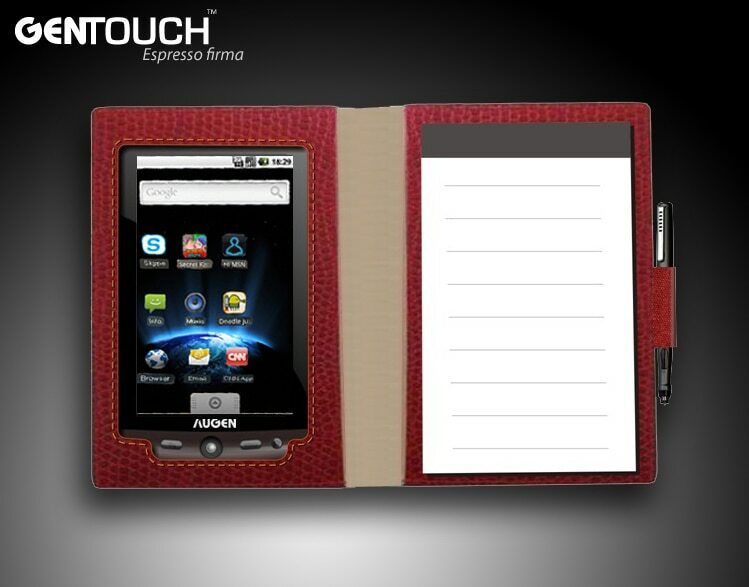 The base Espresso model has a 7" multi-touch capacitive touchscreen (800x600), 1GHz Cortex A9 CPU, 8GB Flash, microSDHC card slot. All this for $349. 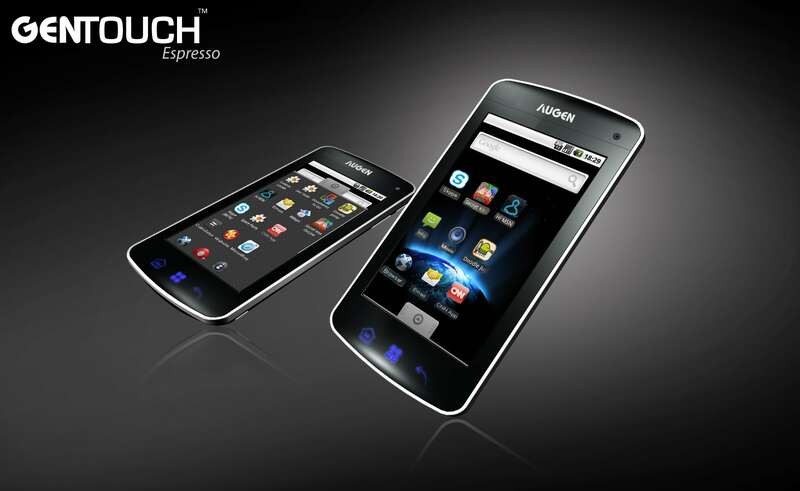 The Espresso Dolce has a 10.2" multi-touch capacitive touchscreen (1024x768), 1GHz Cortex A9 CPU, 8GB Flash, microSDHC card slot. Retail is $429. 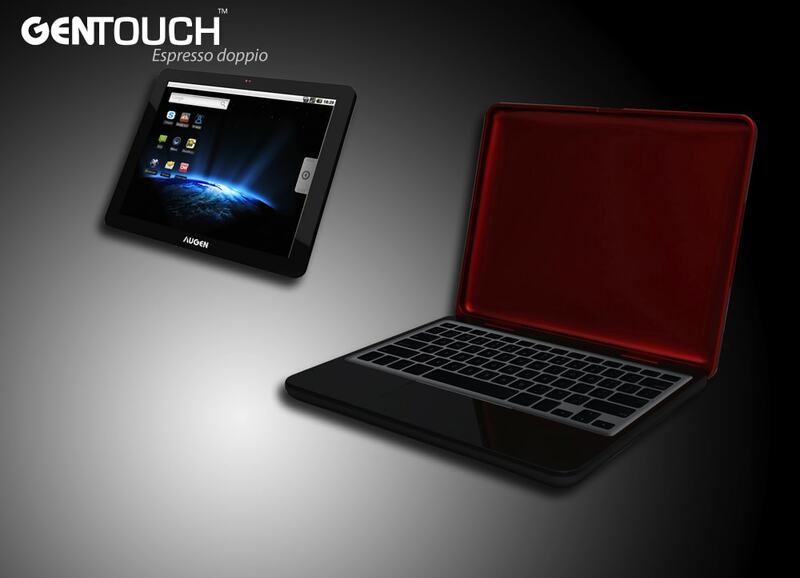 The Espresso Doppio is the tablet convertible I showed you in the first image. It's a dual boot system with Android/Ubuntu as options. It has a 10.2" multi-touch capacitive touchscreen (1024x768), 1GHz Cortex A9 CPU, Wifi, Bluetooth, 8GB Flash, 2 USB ports, trackpad, and a 160GB HD. All this for $599. And then there is the Espresso Firma. This baby has a 7" resistive touchscreen(800x480), a 600MHz dual core CPU, Wifi, Bluetooth, and 2GB Flash. Retails is $349. It also has this odd pen that's supposed to let you write on paper, and the strokes will be transmitted to the Firma. I'll believe it when I see it. who would buy from augen now?